Pregnancy note is a document that is written by a doctor to confirm the pregnancy of the patient. In the pregnancy note to skip work, the doctor mentions the reason behind the employee’s absence and relate it to her health issues because of pregnancy. 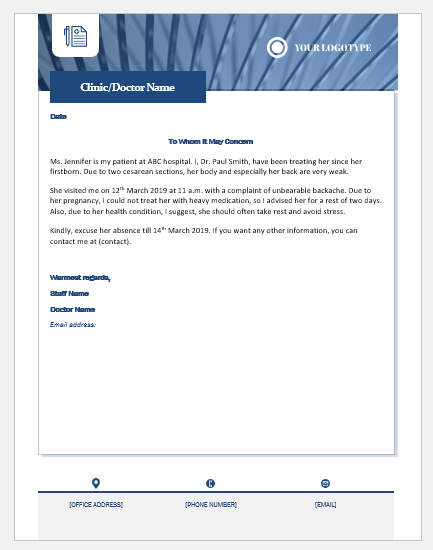 This note is used by the employee to present it to her employer for informing about her pregnancy and the reason for absence from the work. 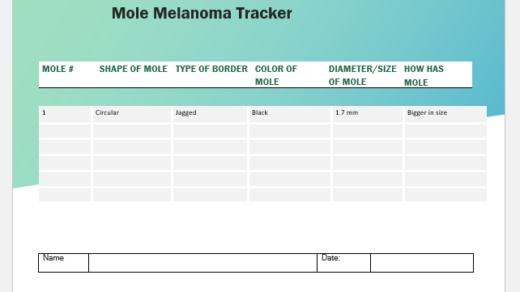 The document holds significance as it is written by an authorized doctor and may serve as evidence to support the employee’s case. An employee attaches this note along with her leave application or letter to show her reason for excusing the work. 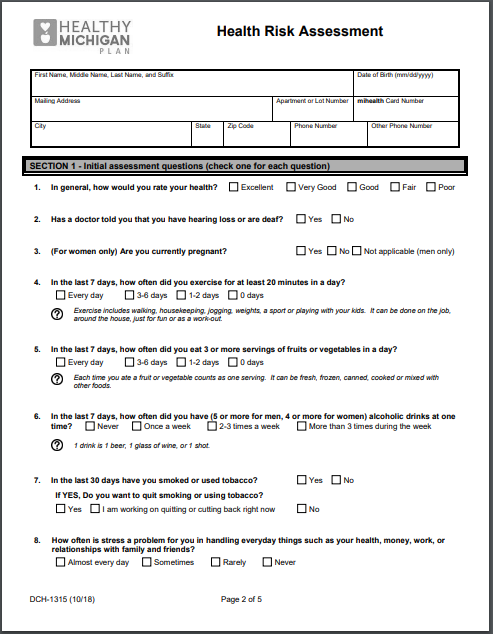 However, sometimes, such pregnancy note is an employer’s requirement as well, as this document is kept in the employee file and may be used for any future reference. A pregnant employee may want to skip work for health issues or she may want to use her pregnancy as an excuse to skip work. In either case, the doctor’s pregnancy note may help in satisfying her employer regarding her absence and give relaxation to the employee. The reason for skipping work. Any health issues linked with pregnancy. Any other comments or information from a doctor, that may include pregnancy symptoms, health condition, care needed, rest required, etc. 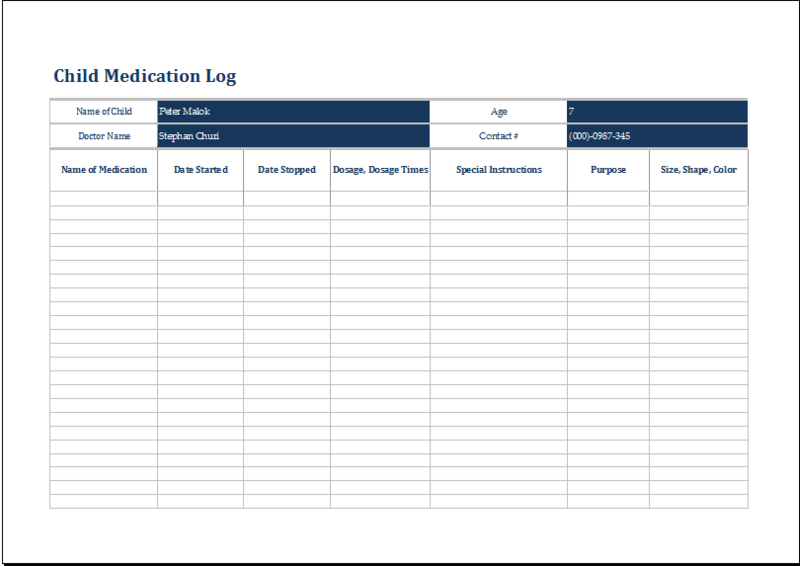 The templates for pregnancy note to skip work are widely available and are easy to customize as well as the doctor can even write it himself rather than using a template. No matter which option is opted for, the note should be properly written so to avoid any loopholes and the following dire consequences. In case the employer finds any incorrect or misleading information in it, he would simply not accept the note and the employee’s case as well as the doctor’s career would be at stake. Ms. Jennifer is my patient at ABC hospital. I, Dr. Paul Smith, have been treating her since her firstborn. Due to two cesarean sections, her body and especially her back are very weak. She visited me on 12th March 2019 at 11 a.m. with a complaint of unbearable backache. Due to her pregnancy, I could not treat her with heavy medication so I advised her for a rest of two days. Also, due to her health condition, I suggest, she should often take rest and avoid stress. Kindly, excuse her absence till 14th March 2019. If you want any other information, you can contact me at (contact).